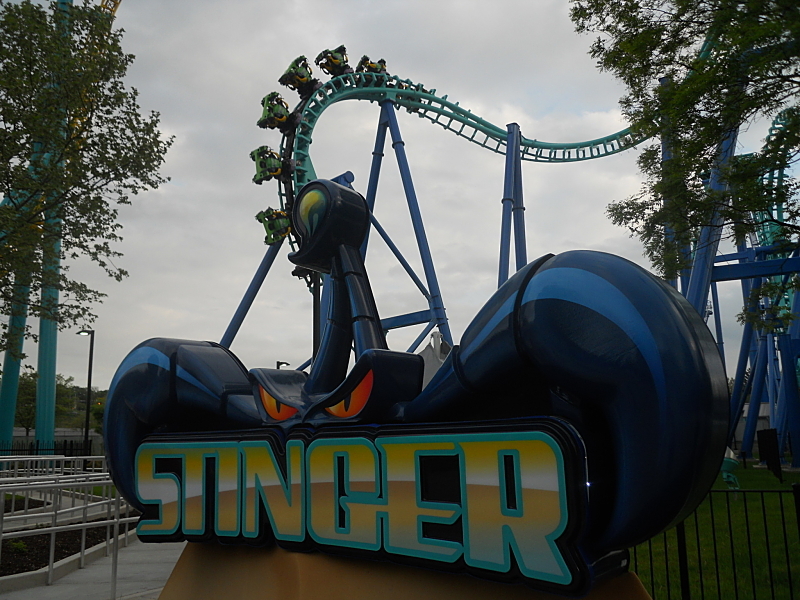 It is fairly easy to ride all the major coasters at Dorney fairly quickly if you get to the park at opening. Although it sounds silly, ride the notoriously slow loading Wild Mouse first, before riding Steel Force, Thunderhawk, Hydra and Talon. You should be able to get them all out of the way before people start heading from the excellent waterpark into the amusement park side. 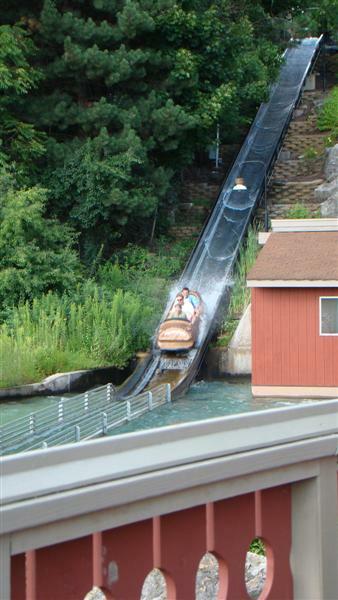 Thunder Creek Mountain is a nice log flume that follows the contour of the land. 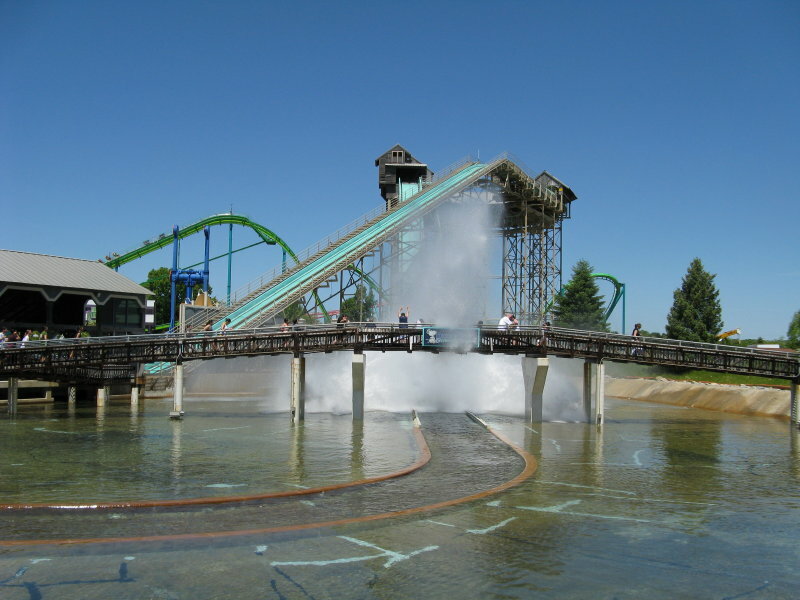 The park's other water rides offer the potential to get drenched. 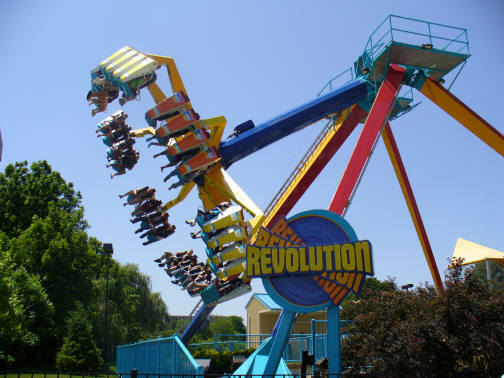 The park has a nice collection of intense flat rides with Dominator (S&S Double Shot Tower), Revolution, Meteor, Hang Time and an Enterprise. Chickie and Pete's is the only table service down eatery and also serves the best food (cheeseteaks and fries). Elsewhere in the park you can find burgers, hot dogs, salads, sandwiches (Subway), veggie burgers or tacos. A Holiday Inn Express is directly across the street (Hamilton Parkway) from Dorney Park. Also close by within 1.2 mile along Hamilton Parkway are a Comfort Suites, Howard Johnson and Wingate by Wyndam. Within one or two exits along I-78 are many other options. 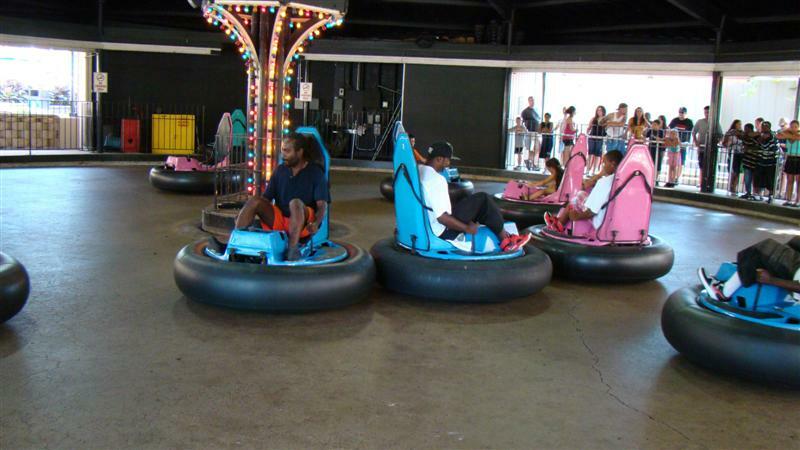 Dorney Park offers two level of "Fast Lane" (skip the line) service. Snoopy and friends provide most of the live entertainment for kids. The park generally also hosts a musical and/or dance show with classic songs. Dorney is a good example of a traditional amusement park gone “corporate.” The park boasts a nice collection of big steel coasters, but lost a lot of its “personality” in the modernization. Still, Dorney delivers pretty good thrills, along with quite a few flat rides and some other family-friendly attractions (including a very good log flume with a unique layout and a popular water park). The park is worth a stop as part of a Pennsylvania vacation. 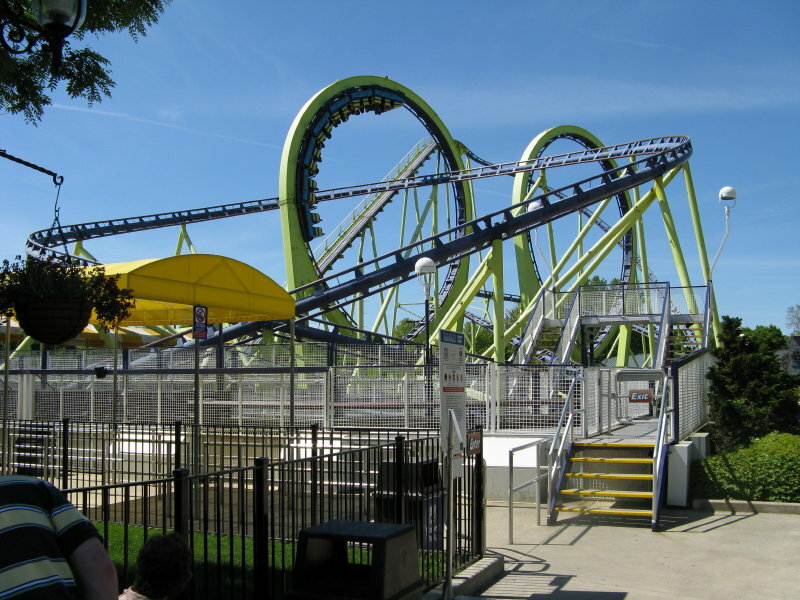 Dorney Park is a lesser park in the Cedar Fair Chain as a whole but you can still have a lot of fun here. It is cheaper than Great Adventure and Six Flags America. It has some solid fun roller coasters. My personal favorites are Talon and Possessed. It has a few solid food options, solid operations, and atmosphere. 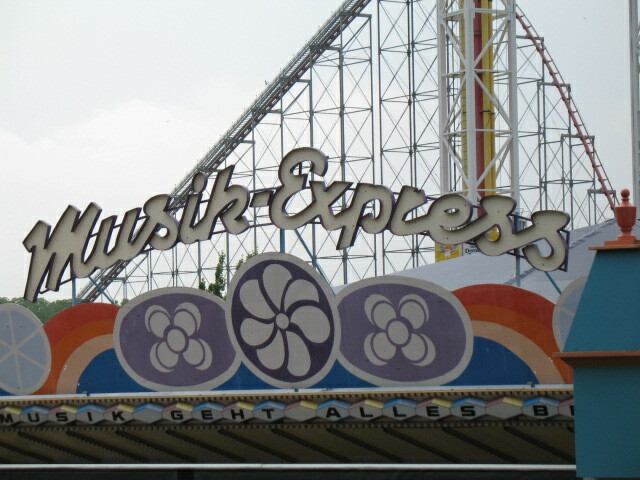 The park is never crowded so it is also a fun place to visit on Saturdays when Great Adventure and Hershey are nopes. I would say the lesser things about the park are the lack of shade, impolite roudy guests, and the fact that it never changes at all from year to year. Park is pristine clean! Employees were very nice. They even had people directing the traffic in the parking lot, it was the most orderly situation I have ever seen in parking. 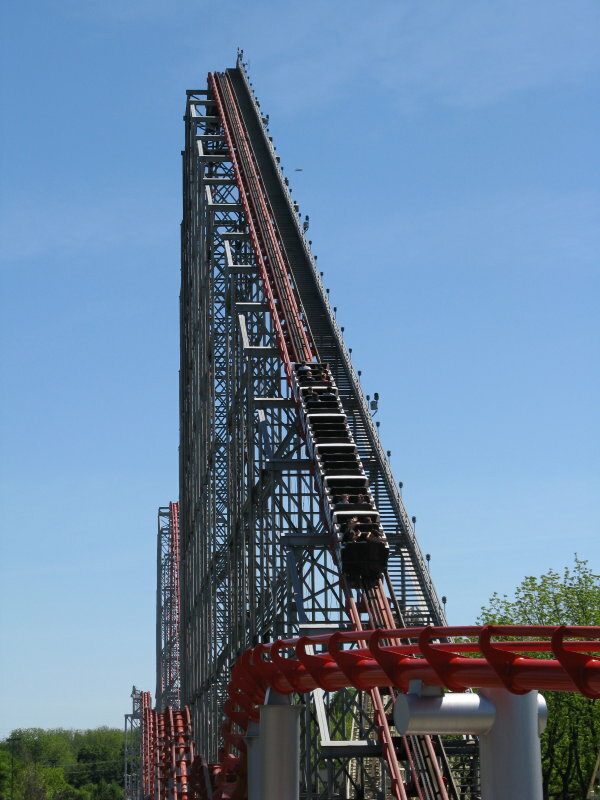 Steel Force is one of the best steel hyper's I have been on. And is still just as smooth as the day it was built. Pleased to see armed security instead of metal detectors at the gate. (that always makes me feel like a sitting duck). Definitely worth visiting if you are in the area. I went into this park assuming it to be just another Cedar Fair park. Turns out this is actually one of my favorite Cedar Fair parks! The coaster lineup at first glance looks a little dull. After riding Steel Force and Talon, I discovered they were more intense than I thought they'd be. Hydra was great for the Jo-Jo roll alone. Thunderhawk was delightful. Possessed even put a smile on my face with the sound clip that is played. We ate out of the food truck in the water park. Good burritos. The flat rides were good as well. 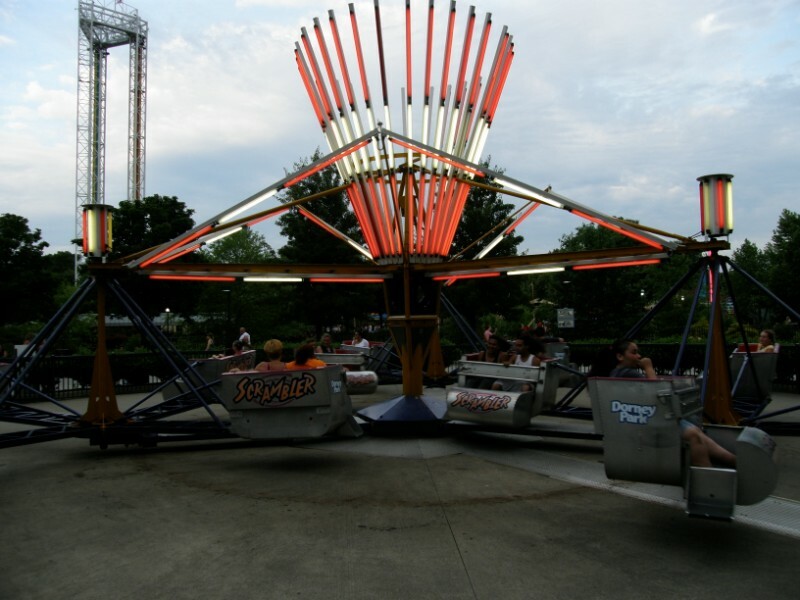 The Whip, Ferris Wheel, Road Rally, and Demon Drop are what we rode. Loved them all! 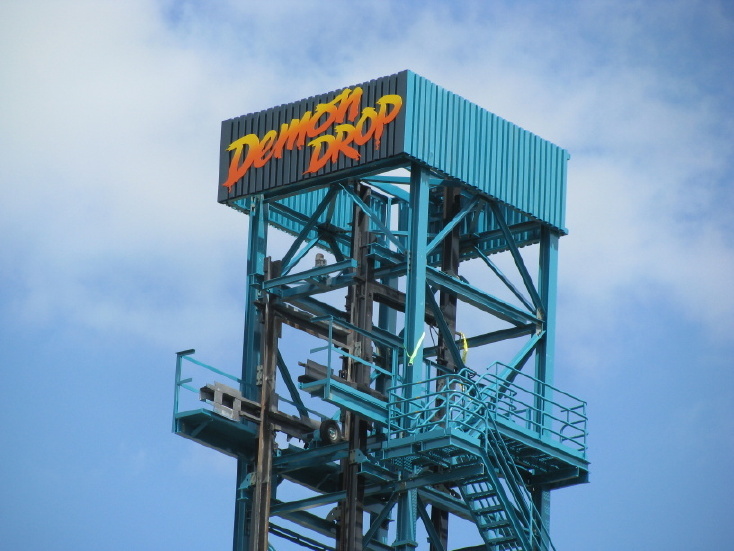 Also, what other opportunity do you have to ride a 1st generation drop tower? This park surprised me a bit! Really, unless they build an excellent coaster in the near future, the only reason I would return would be to ride Hydra, mainly because it was not operating on my visit. Dispite being an old park, the park seems to focus more on its coasters; although the park does have its nice spots, it is mostly just carnival games, a few flats and coasters. I tried to enjoy the coasters, but I did not find any of the ones operating to be that great. 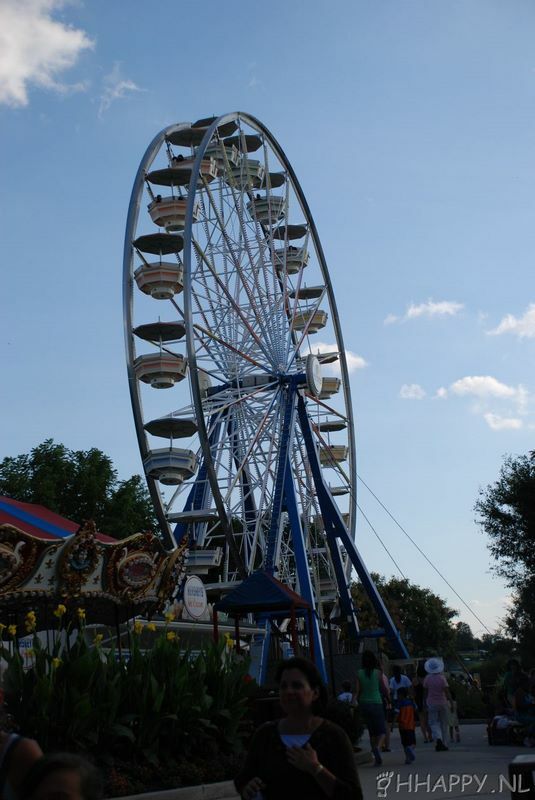 Visit if you are in the area, but, if you only have one day to spend in the area, I recomend going to Hershey instead. It will be more crowded, but you will find better rides, food, and atmosphere there. 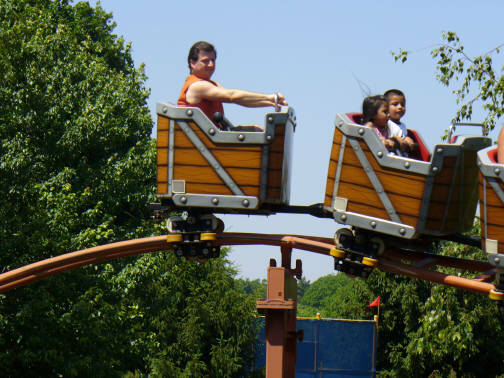 Dorney Park is a clean, fun place to bring the whole family. They have 8 roller coasters. But only 2 stand out ones. While Steel Force and Hydra are good, Possessed and Talon are the reall stand out coasters. 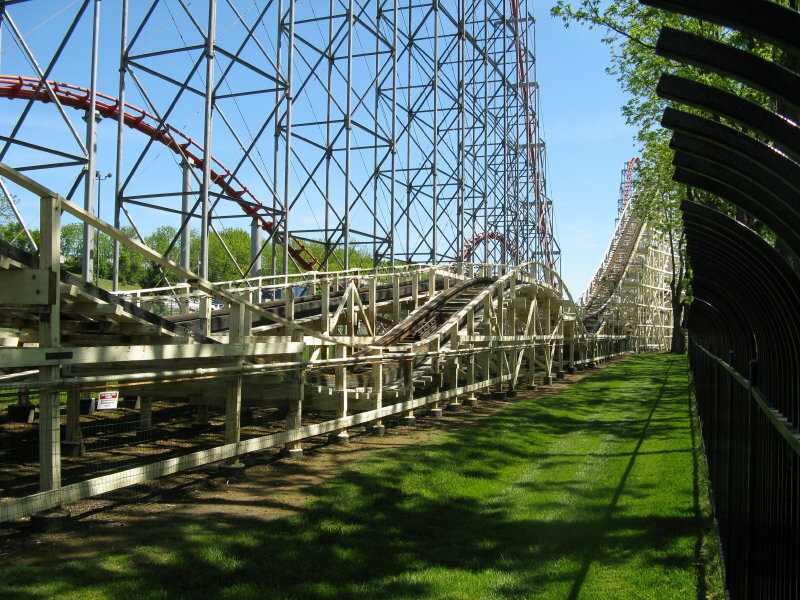 Another stand out coaster, and this park could be among the best parks in the chain. Something the park lacks is a good woodie. A GCI would really fit well, but the park is sort of running out of space. 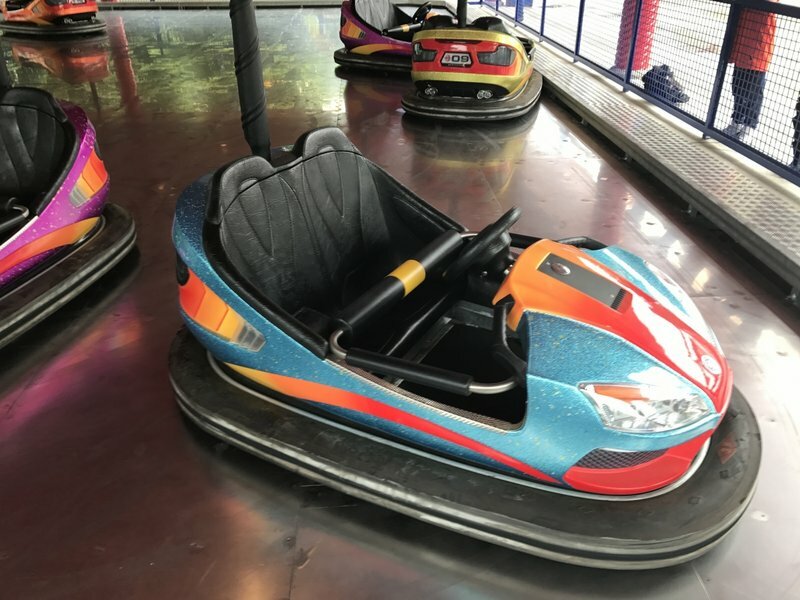 A large kids area is one of the largest and the best. This park has something for everyone. Dorney Park, to me, is one of the better parks in the Cedar Fair chain. It has some midway areas, sure, but I don't find it the "concrete jungle" that others seem to. There are some nice areas that have decent amounts of trees. The food is a small knock, as it has a few good places, but a majority of the places are just okay. From a rides standpoint, I have nothing to complain about. The flat selection is great, with spinning rides, tower rides, and fantastic water rides. The coaster collection is also quite strong in my opinion. Talon is a true standout and an awesome invert! Steel Force is great and full of floater, plus there's an impulse, floorless, and an old-fashioned woodie. Plus, lines are very manageable, which is a plus! I like Dorney, it has a small park feel with tons of variety. Talon is an awesome ride and Hydra has a nice surprise out of the station. Most of the people venture off to the water park so lines are mostly short for the rides. 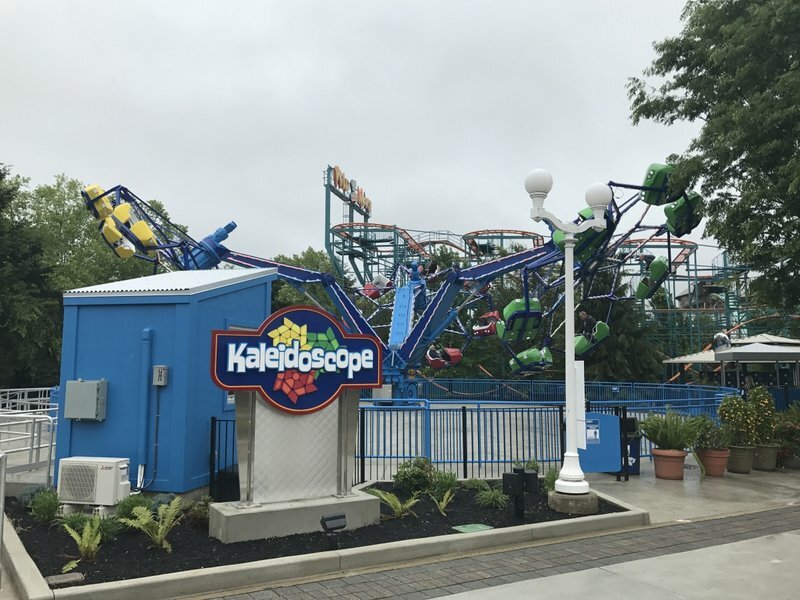 It is a cedar fair park so expect an overabundance of trash cans, but when you add in the flat ride selection I truly believe the park is well underated. 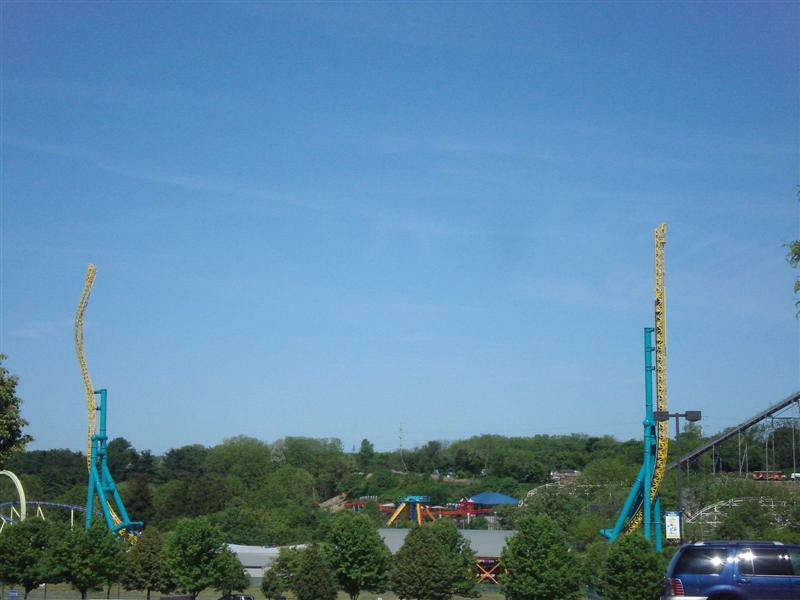 Dorney Park is a nice, regional Cedar Fair Park. The park itself has sort of a bland atmosphere and really lacks any memorable personality. However, Dorney does feature some good coasters. Hydra is a very unique and funky B&M floorless coaster, and Talon is a pretty good B&M invert. The rest of their lineup is fun, and is a good place to go for a half-day coaster trip. This park is a good park. While it is not quite Cedar Point, it has several good rides. 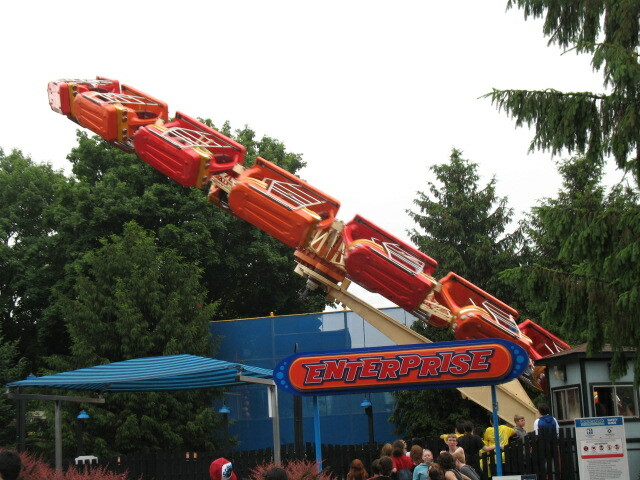 Thunderhawk rides smooth and has some ejector air up front. Hydra is may favorite ride there, and has a rather unique layout. Talon was pretty good, also. Some rides are a bit lackluster, but overall, I recommend this park to anyone living near Allentown. The park is about 2 hours away from NYC, so it is a good destination for New Yorkers. 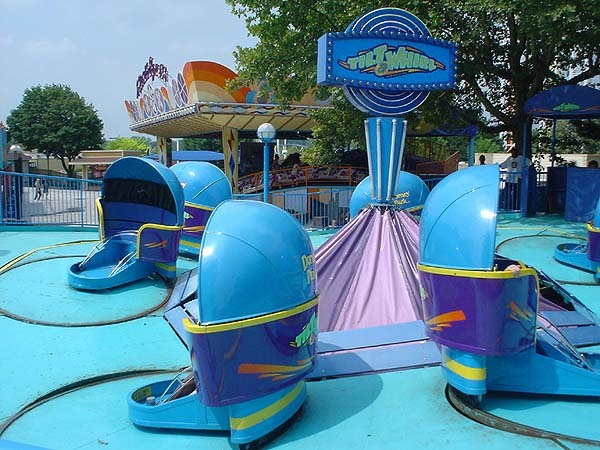 Dorney park is a great park, the always circulate their rides and make great use of their surroundings when doing so. 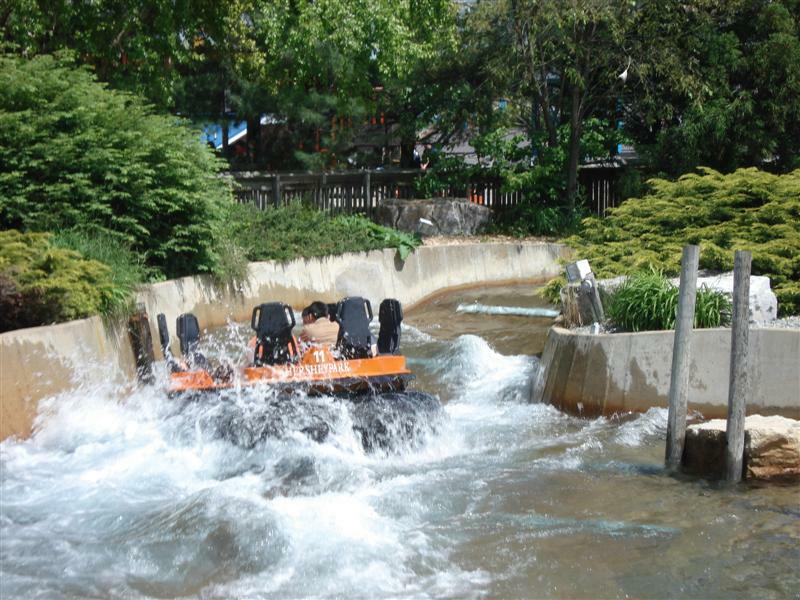 The park and waterpark are both included with your admission so the overall value is awesome. One reason i really like this park is because the coasters are mostly custom built and arent prefabs like you see at all the Six Flags parks. Another great addition to the park is that its always clean and never crowded. I grew up going to Dorney Park often-- so undoubtedly, my answers will be somewhat biased. Dorney gets a bad reputation for being corporate and concrete, which is well-based. Personally, I've got enough memories of the park that in my mind it still has a lot of character. The concrete lessens once you get past the main drag, and some parts of the park are downright charming. Dorney's ride collection is, IMO, very solid. Dominator is a powerful drop tower, Steel Force is a fun ride with a great helix, and Talon is one of my top steel coasters. 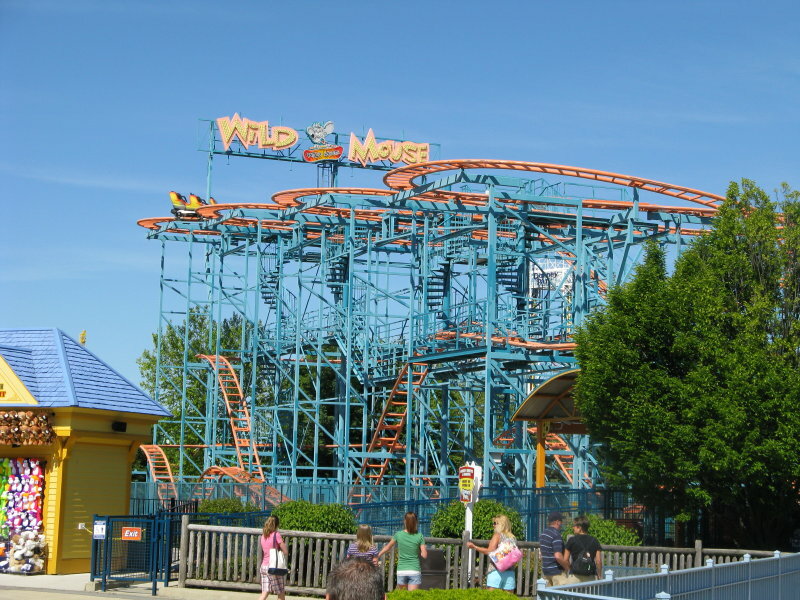 Additionally, they have a great group of water rides, both inside and out of WWK. So, while Dorney is not the best park in the area, it shouldn't be ignored-- you might be pleasantly surprised. The way they treated TPR for our trip = five stars - ERT was amazing, the employees were friendly, the meal/snack vouchers were great, etc. 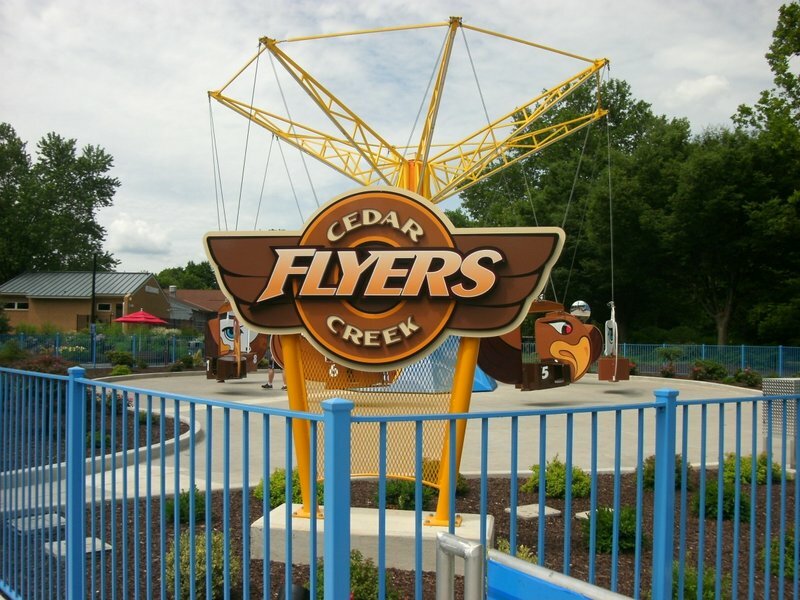 However, looking at the park itself, it's missing something - it seems as if Cedar Fair has paved over its history and charm. When you look at Knott's, you can find remnants of its past, and still find charm amidst the twisted steel skyline. But, at Dorney, there are great rides, a couple of neat gift shops, some really nice kid's areas, and, that's it. The B&M invert is VERY fun; the B&M floorless is also fun, especially with the pre-lift hill twist! The park Solid coaster lineup including a B&M Floorless, B&M Invert and a Morgan Hyper. All deliver good rides. The park has a pretty good selection of flats and an included water park as well. The park definitely has the Cedar Fair, corporate feel though, and with Knobel's and Hershey in relative close proximity, this park just doesn't match up. Still, it's definitely worth a stop if your in the area. Dorney is a nice little park that I most appreciate for never having lines. Talon is a great invert- not forceful, but very aerial. 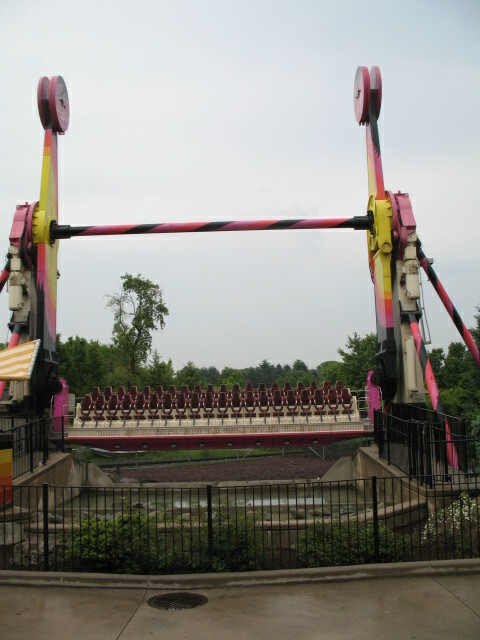 Possessed is very fun, and should be ridden both in front and back for very different experiences. The other coasters are all fun enough (but the Wild Mouse is run horribly). 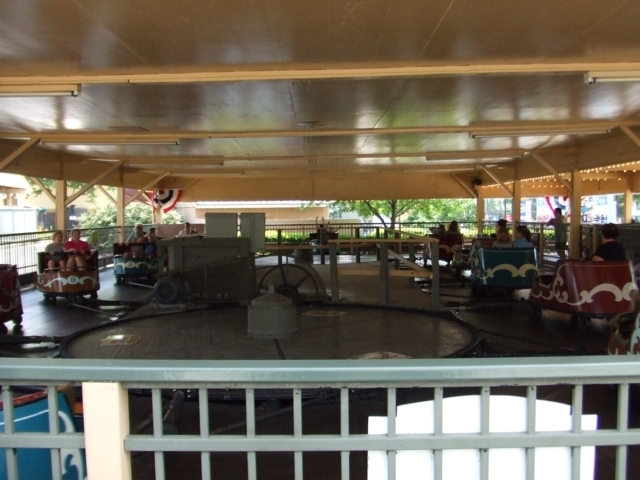 A variety of flat rides are available for guests' enjoyment as well. Operations are very good, with stacking nearly never happening. Food is unremarkable. Ice show is nice. The waterpark is included, and has some nice slides, but is generally overcrowded. Lines in the theme park grow when the water park closes. Very little shade in the park overall- there are some nice sections, but overall there's just a lot of concrete. 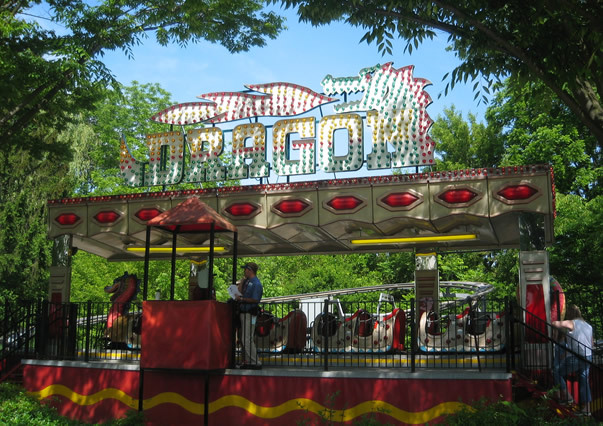 Dorney Park is a small park with a long history. Although it was bought by Cedar Fair it has managed to retain some of its oldest attractions, most notably the Zephyr train. But surrounding the older attractions are big, modern rides like Dominator, Possessed, and Talon. It's this mixture that makes the park such an interesting place. Granted, operations aren't the best and the clientele isn't great, either (line cutting was a problem when I visited). But I really liked this park, especially at night when it seemed to really come alive.And it has some fantastic coasters.Hydra is an unheralded gem; it's so unique and just plain fun! 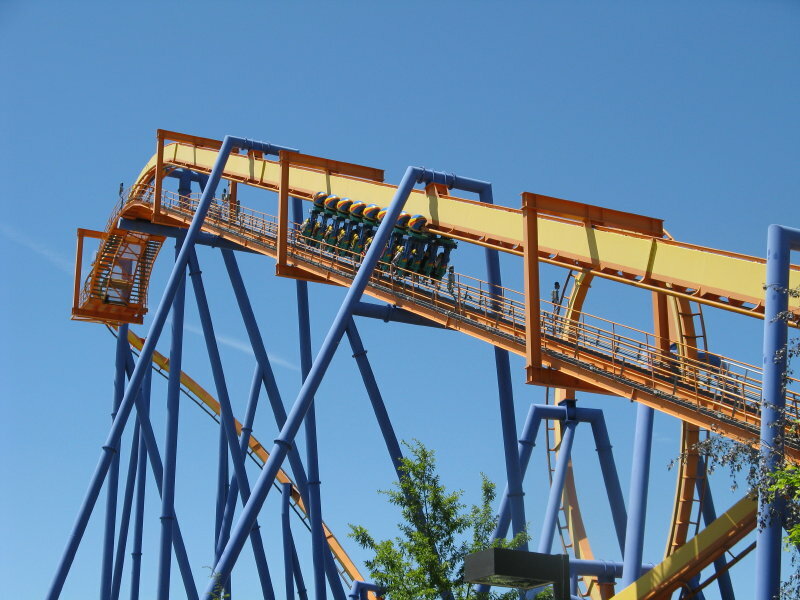 Talon is yet another great invert from B&M. Approach DP with the right attitude and you won't be disappointed. 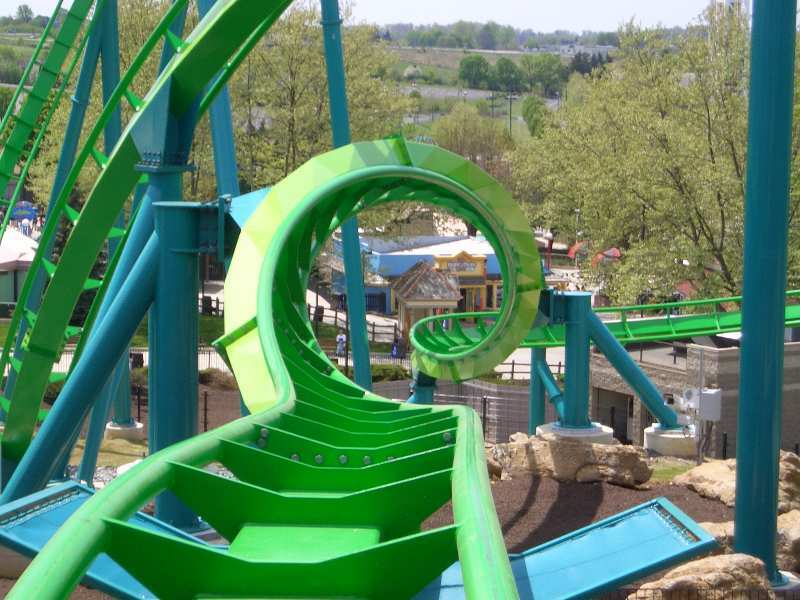 Dorney Park may seem like a dry place, but some of the rides there are just incredible! They're small, but they really pack on the thrills. Go early in the season and walk on everything. 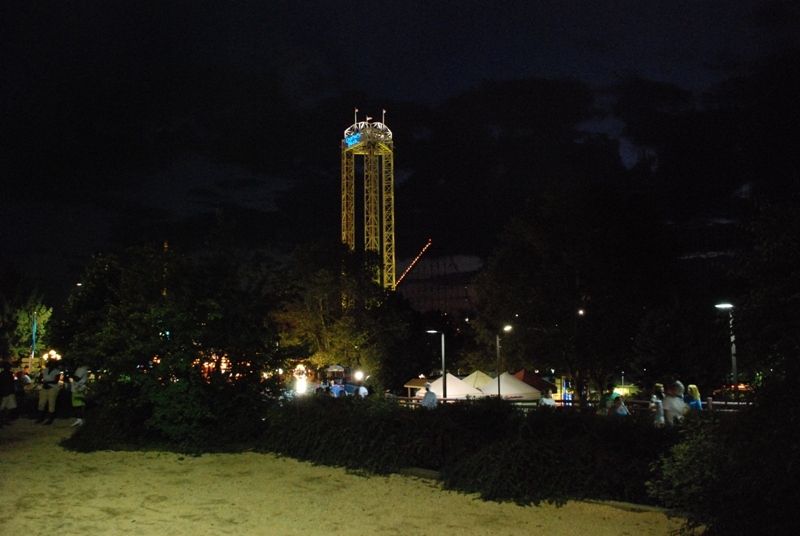 I think Dorney still has some charm compared to many of the other Cedar Fair parks, and I enjoyed their rides a lot. The attached water park is nice, and staying at the hotel across the street made my visit to Dorney Pain-free and relaxing. The lines were not very long when I went either which is always a plus! 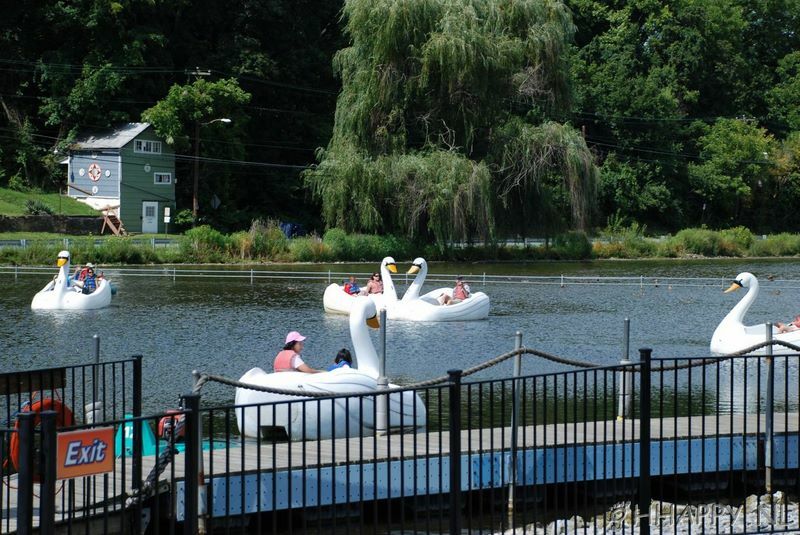 Whatever charm Dorney may have had when it was a trolley park was bulldozed away long ago. It's ugly, lacking in shade, and built on hill you have to trudge up and down to get to all the rides. Steel Force is a great coaster and Talon and Hydra are pretty sweet (some disagree). Thunderhawk, the lone woody, is overbraked. Many visitors spend the day at the included water park and wait until night to do the coasters and flat rides; plan accordingly.